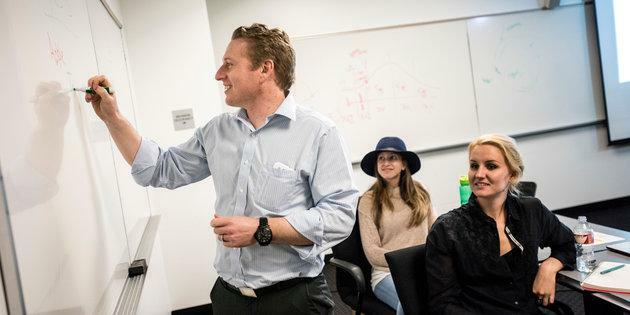 "Participating and completing in E2B projects, helped me gain tremendous confidence in the skills I learned as a student at Pepperdine University. Getting feedback from C-Level executives was not only validating but an unforgettable experience that tested my nerves and was fun at the same time." "The E2B project we worked on was more than an MBA class exercise -- it was a real-world consulting project. Under the guidance of the professor and company executives, our group delivered a marketing plan of professional caliber. The company we worked for was counting on our findings and recommendations to execute a multi-million dollar opportunity in a new market. It was an exciting challenge and also an extremely worthwhile learning experience. This program will enrich your MBA experience and most importantly, your resume." "What a thrill it was to find out that the (E2B) company we prepared a marketing plan for had successfully implemented all of our ideas less than six months later. 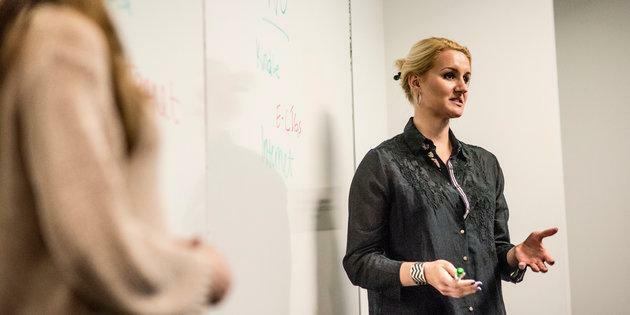 I am profoundly grateful to Pepperdine's E2B program, to Dr. Andrea Scott for placing us in a situation where we had to resolve a real business issue, dive into the real world of competition, and define the best strategy to differentiate our (E2B) client from the competition." "This has been a BLAST! This class case project has been as real as it gets and adds so much to my MBA program. The fact that we are preparing an important document and presentation for REAL clients is refreshing and quite frankly is where the proverbial rubber meets the road. It fuses our academic learning with practice." "Our team tackled a real world problem with research and creativity. We ultimately influenced the marketing strategy our partner company is using today. They have altered their message, based on our input and are seeing results. The interaction with company executives, the high expectation for solutions, and the realization of a strategy our team developed was the most rewarding part of our business marketing education." "The knowledge, training and skills gained through my participation in the E2B project was one of the most rewarding aspects of my graduate school education. This project provided a gateway for the students to get hands-on experience in a classroom setting. Undoubtedly, the combination of classroom instruction and real world lessons has contributed significantly to my continued success in the business world." 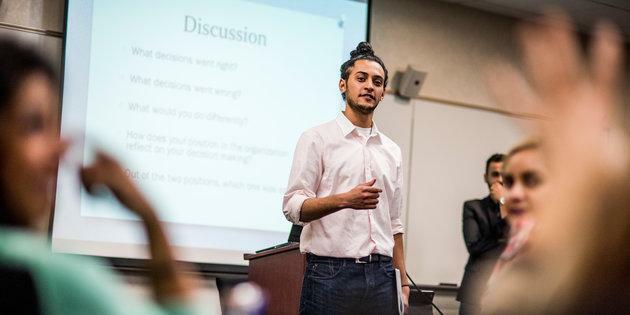 "The real-world experience and immediate, direct feedback received from executives in our E2B project was invaluable in shaping my class experience. Case studies and simulations are good, but this was a real, live-fire exercise and therefore practical learning in every sense of the word." "The integration of real-life projects into the classroom provided tremendous value to my personal learning. For the last 12 years of my IT career, I never paid attention to marketing. But now I appreciate it so much more that I am considering shifting into the field of marketing communication." "I prepared my marketing plan by applying the lessons and principles learned from the E2B Class Case Marketing Project. I received high remarks from my boss stating that my marketing plan was the best he has ever read!" "It's very gratifying to get instant feedback from a real company. As a business student, much of the time you are dealing with hypothetical issues. 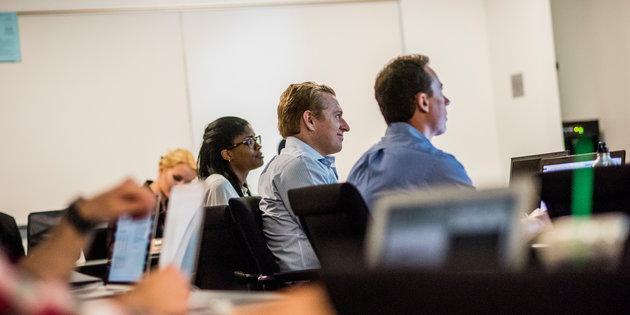 In this course, we've been able to apply theory to a real-world situation and have it validated because the results are meaningful to the company." 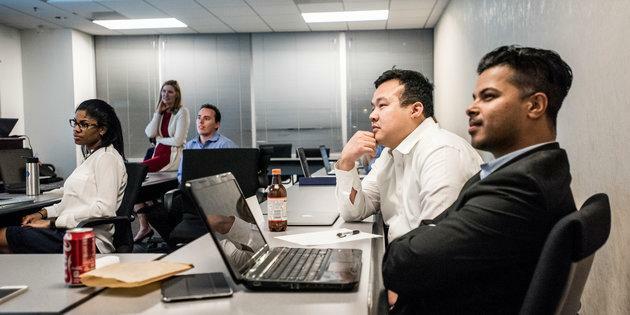 "The opportunity provided by the E2B program to take classroom learning and apply it to real-world business decisions within a 14-week timeline is exactly the fast-paced, hands-on experience that I was looking for within the MBA program. The amount of time, research, and team interaction involved with developing a marketing plan is truly a testament to the hard work needed to successfully market and/or run a business. Each milestone met, along with the feedback provided by the company and professors helped us develop upon key concepts, and fine tune our final product. My overall experience of participating in the E2B program is 100% satisfaction. I feel I came away with valuable tools that I did not know about before, but now will be available to me for future ventures." "The E2B program provided an unparalleled opportunity to apply complex methodology learned in the classroom to real-time business challenges. While participating in the E2B program, I worked on several marketing plans for various sized businesses, in both classroom & on-line format. The program has provided me with excellent opportunities to apply strong analysis and creativity in well-received solutions presented to C-level executives. If you are looking for a career change, starting your own business or to enhancing your current skills set and resume, the E2B program is a must!"